Lenten Prayer Assembly PowerPoint - this resource was kindly shared by Eileen Gallagher, Clogher Diocese. By creating a sacred space like this in your school, it could allow students gain a greater understanding of the true meaning of Lent. 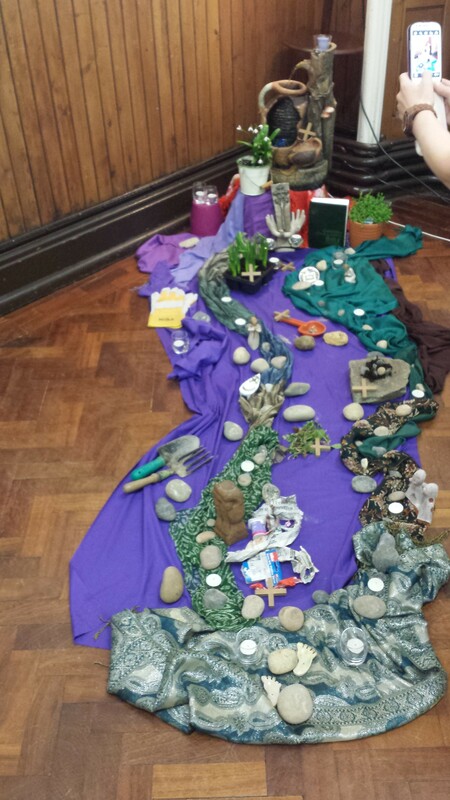 Lizzie has kindly provided Teacher's Notes for Creating A Lenten Garden to explain her choice of materials, alongside this Lenten Reconciliation Service Handout for use with class groups etc. For further inspiration, take a look at the following Liturgy in Lent PowerPoint and Why Liturgy? handout that Lizzie used to explain her selection of materials for this sacred space and why Liturgy is such an important experience for students in our schools. Céadaoin an Luaithrigh introduces students to the events that take place on Ash Wednesday as Gaeilge and has kindly been shared by Sr. Mairéad Ní Bhuachalla, Chaplain of Coláiste Mhuire, Cabra.